Posted September 18, 2017 by Avery & Meadows & filed under Dental Articles, Oral Health. Whether you’re new to the area or just looking for a new dentist, choosing the right practice for yourself and your family can be an intimidating process. It’s important to know that not all dentists will be a good fit for your unique needs. But don’t worry, there’s a practice just for you, and we’d like to help you find it. The first step to finding the best dentist in Memphis for your family is to do a bit of research. Ask friends, family, neighbors, or coworkers who they trust with their dental care. Then, compile a list of each and every one. Consider how close to work or home you’ll want the office to be and hop online to look into the office specifics. What services do they offer? What do their reviews say? Narrow down your list to a few that hit your most important criteria and pick up the phone and call them. How does the dentist keep up with new technology or training? Will my treatment plan and financing options be discussed with me? Having a conversation with a team member in the office can reveal a lot about the dentist and the practice. The team member should answer pleasantly and be willing to answer any questions you have. 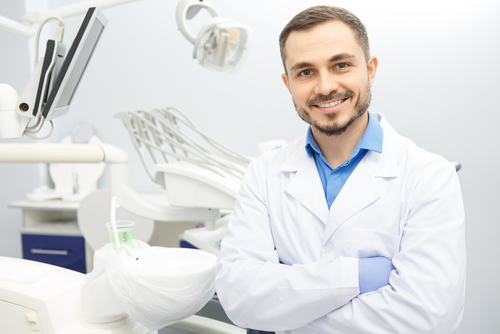 Once you think you’re ready to make a commitment to one of the dentists you called, it’s a good idea to make an initial appointment and use that visit as a ‘test’ to make sure that you’re comfortable, that you’re treated well, and that the office is clean. At this visit, you should have the opportunity to meet with the dentist so he or she can get to know about your health history, any concerns you may have, and what your oral health goals are. Your first visit should also include a thorough examination of your teeth and gums, an oral cancer check, and any necessary x-rays. Searching for a new dentist in Memphis is no easy task. You’re looking for someone who can treat your family the way you want to be treated and who makes you feel comfortable. And even though there are plenty of dental offices to choose from, following the tips above can help make the search easier and ensure you find the right practice for you. Of course, if you’d like to visit our Memphis dental office, we always welcome you to give us a call. We’ll be happy to answer any questions you may have to help you to find the best dentist for you.